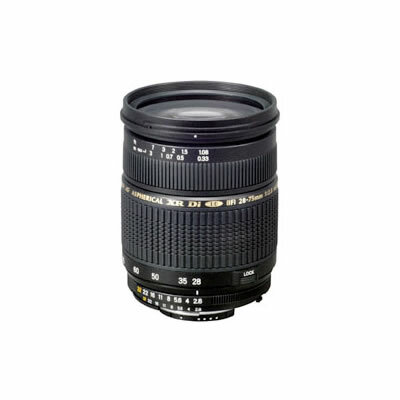 AF 28-75mm f/2.8 Di XR LD N-II ASL IF Zoom Lens w/ Hood for Nikon. The most compact and lightest in the history of fast zoom lenses. Thanks to the revolutionary downsizing "XR" technology employed by Tamron in the development of high-power zoom lenses such as the 28-200mm and 28-300mm, the dramatic compactness that makes this lens the world's smallest and lightest is achieved. Its compactness makes it look and feel like an ordinary standard zoom lens, yet the versatility that a fast constant maximum aperture offers will definitely reshape your photographic horizons.